Most of the time, when people say Spain, the first things that comes to mind is Tapas. Well, in my mind at least. Besides the mouthwatering cuisine, fascinating culture, and incredible architecture, Spain is also a mecca for adventurers and lovers of extreme sports. With the popularity of adventure holidays increasing year by year, why shouldn’t you entertain the thought of voyaging to this region for heaps of fun and adventure? Spain is home to a vast and diverse landscape where things like rock climbing, canyoning, trekking, and cycling are readily available for those who seek it. Here are a few of the adventure holidays in Spain that you have to experience…at least once in your life! The Picos de Europa are a range of mountains, around 20 km inland from the northern coast of Spain. As you walk through the National Park, you can find yourself navigating through the forest like paths but as soon as you hit the clearings, you will be treated to uninhibited views of the Spanish dolomite mountains. While most of the trails within the National Park are well marked and can be done in a day, if you’re looking for a longer trekking expedition, some companies offer multi-day treks as they mix regular trekking routes with off-the-beaten-path trails through rural villages. Many companies offer an inn to inn self-guided tour where they arrange your accommodation, meals, and luggage to be transported from one stop to the next. 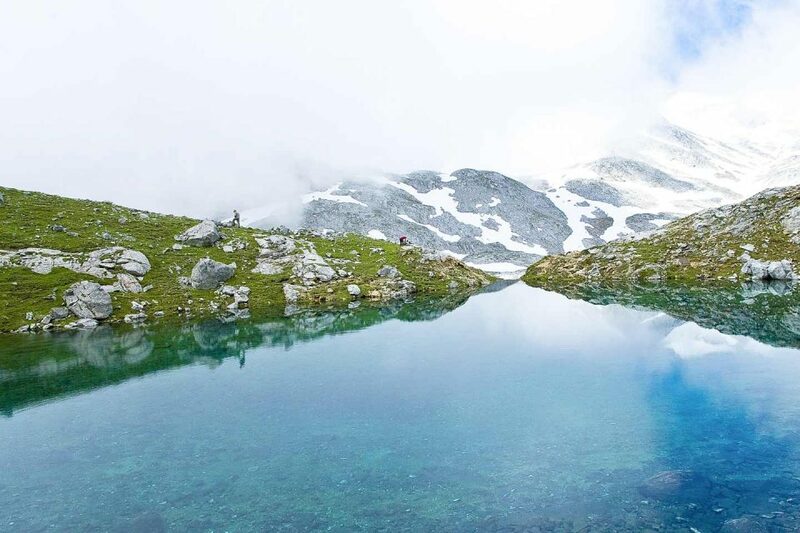 This hiking expedition is widely popular due to the incredible mountain paths, gorges, and pastureland. As in most cases, when you opt to do the longer treks, expect almost no crowds. Instead, you will most likely find a vast landscape, teeming with wildlife with dramatic mountains at the backdrop. The region of Andalusia offers some of the best adventure holidays in Spain due to its incredible landscape. Starting in the coastal town of Malaga, you begin your adventure holiday by making your way by foot up a mountainous village where you will spend your first night. 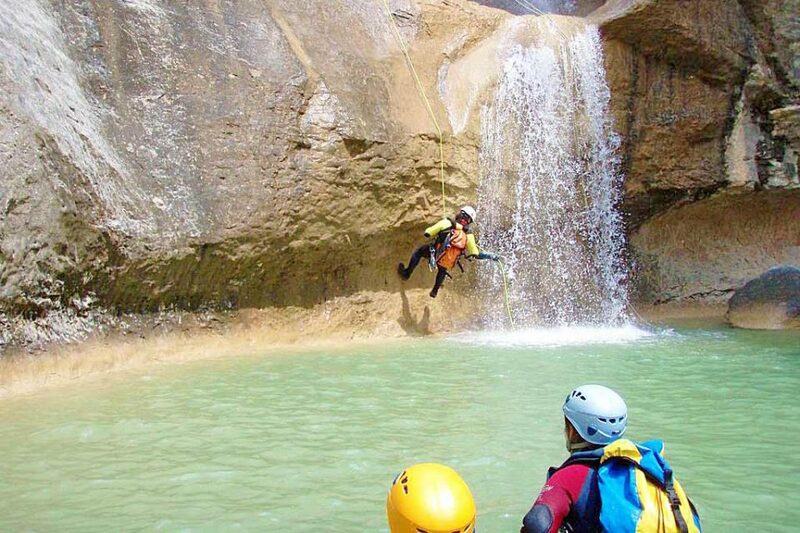 From here on after, it’s a mix of canyoning through the Rio Verde canyon, trekking up the Alpujarras region, and along the Trevélez river, taking you through pathways right under the Sierra Nevada’s highest peaks. Here, you continue through Cabo de Gata where you can climb and kayak around the stunning coastal area where you can see lighthouses, beaches, and stunning rocky cliffs. As if that’s not enough, but this 8-day adventure holiday ends with the option to either trek along the hills of the Axarquia, to explore some of its whitewashed villages or climb to the top of La Maroma, the region’s highest peak. So, why do we love this particular trip? Not only is it jam-packed full of incredible scenery and challenging routes, but we also love the variety of activities that you can do throughout the whole trip. 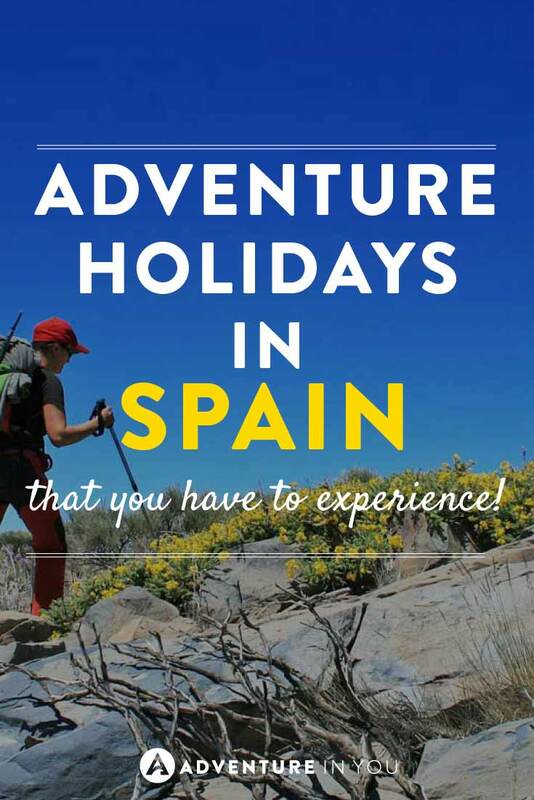 Recommended Adventure Holiday Company: For this particular Spain Adventure Holiday, we recommend Rug & Rock Adventures who offer once in a lifetime trips taking you through some of the most rugged and thrilling parts of Spain. The entire tour is well organized, providing you with everything from transport, meals, safety equipment, and accommodation. The best part about Rug & Rock is the overall vibe, friendly and knowledgeable guides, and incredible people that you will most likely meet during your trip. Given the long coastal stretch, it’s no surprise that surfing is a popular sport in Spain. 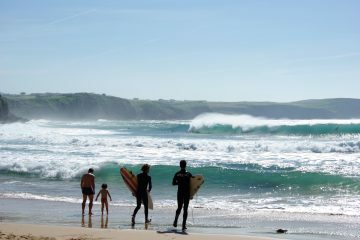 Left and right, surf camps and surf safaris are popping up, offering you an epic Spain adventure holiday where you can catch waves, meet like-minded people, all while you experience some of the best surf spots in Spain. Places in the Basque region like Zarautz, San Sebastian, and Bilbao which is home to two of Spain’s best waves are iconic for good surfing. However, you can also find surf by Andalusia, Galicia, Fuerteventura, Tenerife, and Gran Canaria. 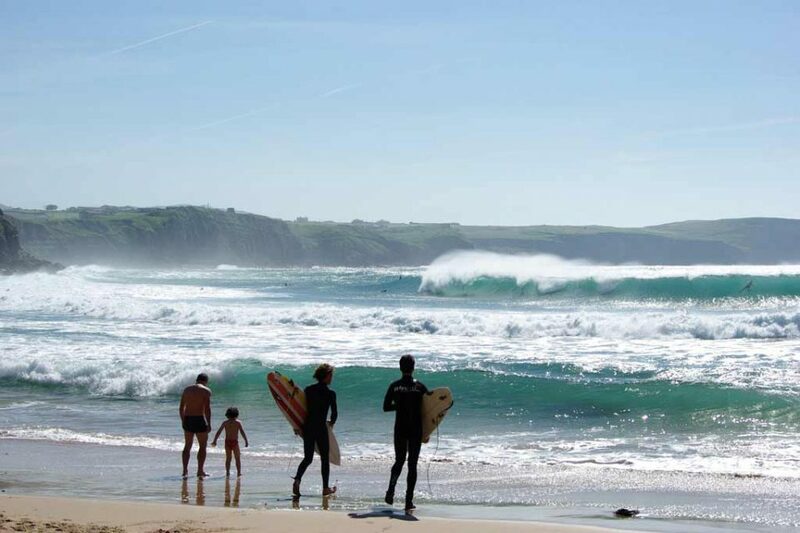 Bottom line is, Spain is a mecca for people looking for an unforgettable surfing holiday. 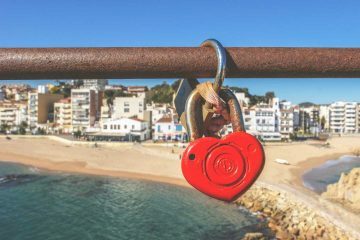 Editor’s Note: Check out our guide on Where to Stay in Spain for access to our top recommendations on hostels and hotels. Spend your much deserved holiday cycling through some of Spain’s most beautiful cities in the Andalucian region. Granada, Cordoba, and Seville all offer beautiful roads through rolling mountains and olive groves. The best part is that you will be cycling through the Vias Verdes, an abandoned railway line that is now used for hiking and cycling. This flat pathway will take you through stunning scenery as it showcases some of the best historical sites around the Andalusia. Stops throughout your tour can be made to see the larger than life Alhambra Palace which is one of the must-not-miss sights while in Granada. The cycling holidays in the area range from self-guided tours to full on holiday deals with accommodation and food packages. If you’ve been following this blog, you would know that we are addicted to rock climbing…which is ironic as I have a massive fear of heights. However, the thrill of conquering peaks while surrounded by nature is too tempting for me to resist. Some of the best rock climbing in Spain can be found in the Andalusian region which makes this place the perfect adventure rock climbing holiday destination. This particular adventure holiday that we found is the right amount of climbing and adventure as well as culture and exploration. 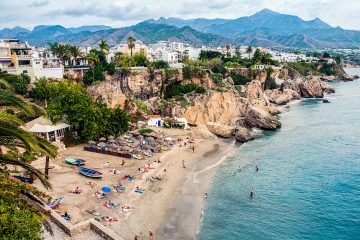 Taking you through the stunning crags of Sierra Morena, this 5-day trip offers opportunities to explore nearby places like Cordoba and Malaga. 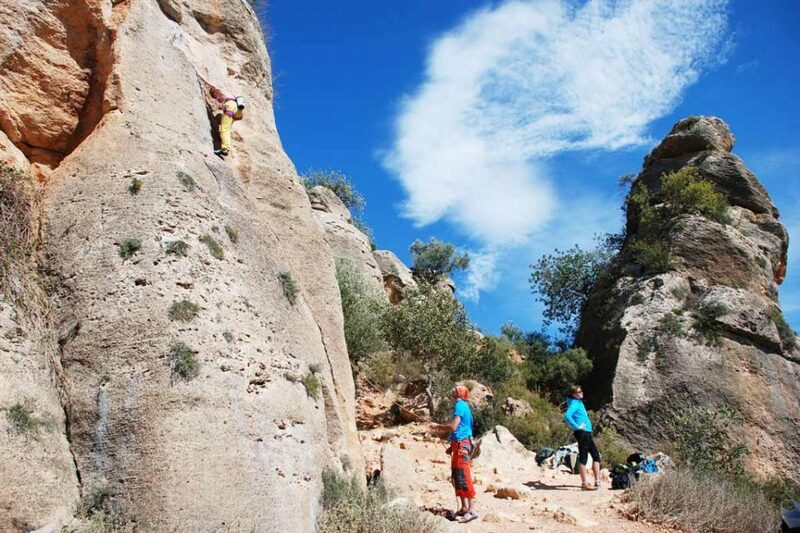 Recommended Adventure Holiday Companies: Chosen for their organizational skills and commitment to small group sustainable travel, the guys over at Rug & Rock are our top choice for Rock Climbing in Andalusia. Their tours are curated from personal experiences, making it even more memorable and unique. 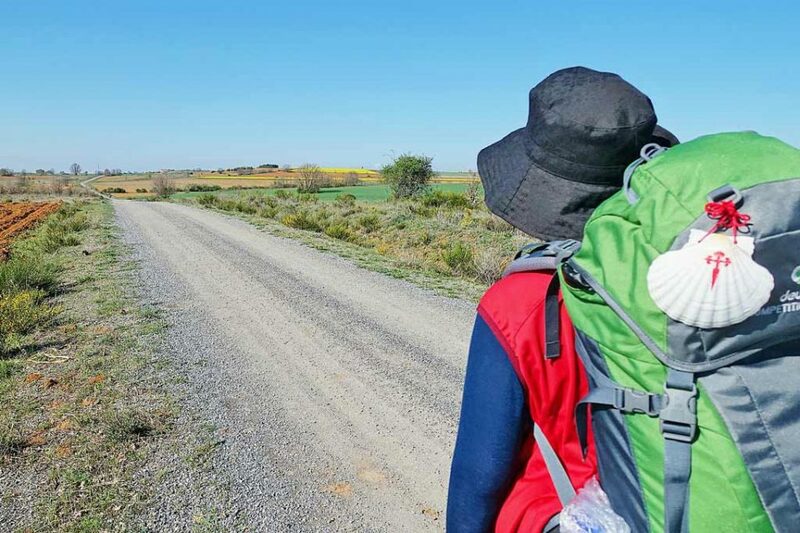 While following this popular pilgrimage route can take up to 2 months, there are various adventure holidays that will take you through the highlights of the different paths. While walking tours are the favorite, there are also a few companies which offer cycling routes through this ancient pilgrimage leading to the famed Santiago de Compostela. Here, you can witness rolling flower fields, olive groves, and charming cities. A popular trip that most people opt to take on is the last 100km of the route which takes about a week or so to complete. This walking adventure holiday is bound to take you through breathtaking scenery and historical points, making this ancient pilgrimage path even more special and revered. 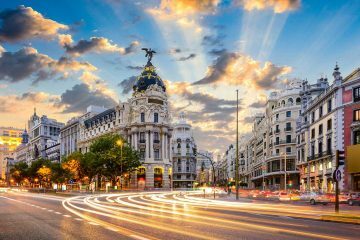 While I could go on and on about the many Spain adventure holidays, the bottom line is, Spain is one of the best countries in Europe where you can enjoy the rugged outdoors, exciting activities, a rich cultural heritage, and fantastic food. So what are you waiting for? Start planning your next getaway now.